The defending Men`s European Champions League champions are preparing for the returning game of 2013/14 final in atypical situation for them. Vladimir SAMSONOV & Co. used to have an advantage from the first away leg, but this time Fakel Gazproma Orenburg is expecting AS Pontoise Cergy after 3:1 (10:5) defeat. However, history convinces us that there is no untouchable advantages. “It is expected to be a real battle of the two best European clubs”, stressed Orenburg`s coach Valery SALABAEV. “The oldest and the youngest clubs of the ECL 2013/2014 will play against each other. The first leg was held in the Paris suburb. It was a tremendous, splendid and so tense clash”. 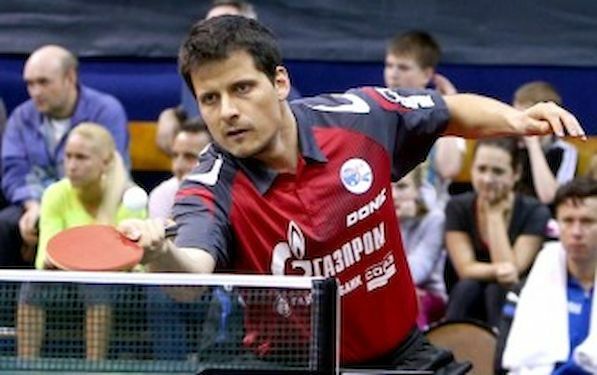 Orenburg started well in the first clash, as Dimitrij OVTCHAROV beat Marcos FREITAS in four games. But, next three encounters belonged to French side: WANG Jian Jun and FREITAS defeated each Vladimir SAMSONOV, while Kristian KARLSSON overcame Alexey SMIRNOV. There was just couple of matches in last five years when SAMSONOV lost both his games and SMIRNOV his one as no. 3 in the line-up. “We lost unfortunately. But let’s keep in mind that the finalist is defined based on the results of the two matches. Our team is incredibly motivated. Our rival is very strong, but we are determined to win this hardest battle and the European Champions League for the third time in a row”, said SALABAEV. Last season Orenburg won 1st final game in Chartres 3:1, but suffered the same defeat at home. The winner was decided according to the points ratio (16:16 in sets, 315:311) and it was one of three closest finals ever.